Our Wedding, in August 2013, had a very personal feel to it. I knew what I wanted and the only way I could see me getting it was to make it myself. 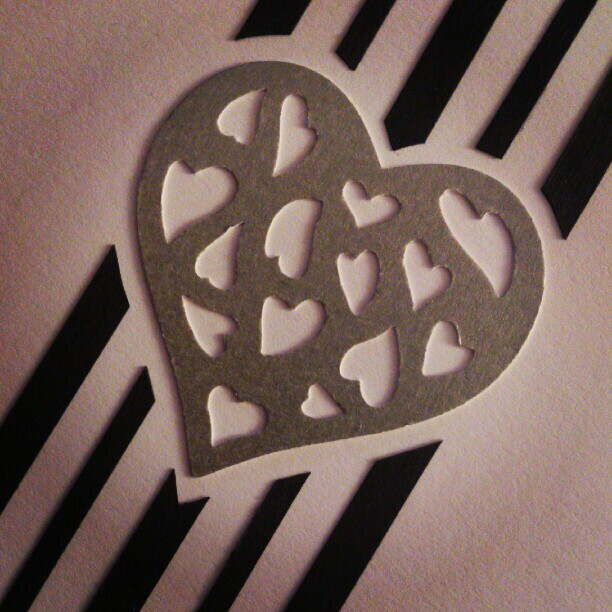 The initial inspiration came from the heart paper punch I found which went on to produce many of these silver hearts to feature on the Wedding Stationery and the colour scheme, of silver and black, from my dress. I trawled through wedding magazines and the internet, as every Bride to be does, looking for inspiration. I couldn’t help but feel that most of what I saw could be done myself at a much reduced cost, or at least exactly as I envisaged for the same cost. I was determined to be a little different. Not crazy, but a few quirky details that would be remembered by our guests to set our day aside from other weddings. A bouquet of flowers seemed too obvious so I set about to make my own button bouquet. This was certainly not a cheaper alternative to flowers coming in at just shy of £100 plus my time but it was very much mine, and it won’t wilt. 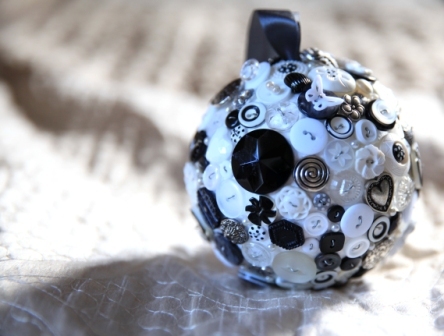 For my Matron of Honour, a button pomander. 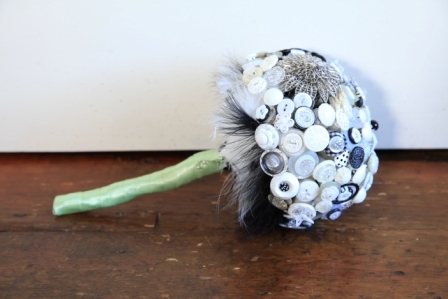 A much lighter option than my bouquet with the buttons hiding a polystyrene core. Almost every time I go to a wedding I forget to take confetti with me so I looked into providing it for our guests. I sourced the natural petal confetti from Shropshire Petals. 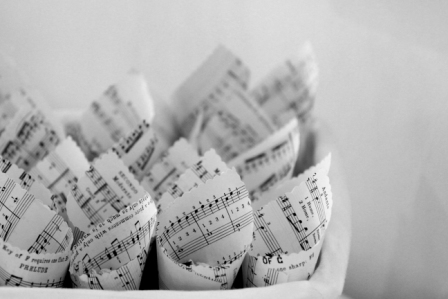 I searched for confetti cones that would suit in both design and cost to no avail. Sheet music lent itself perfectly to our colour scheme so I dug some out from the attic and made my own. 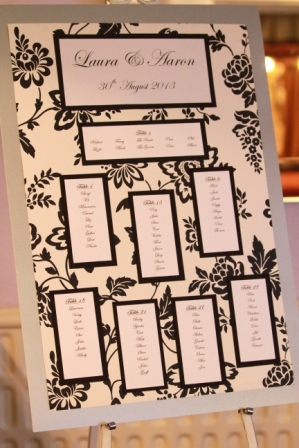 I viewed many table plans online and searched for appropriate paper for the background to be mounted on silver board. It was whilst shopping in a nationwide hardware store that the inspiration came – wallpaper. Available in many shades and patterns it was perfect for the job in question. I loved our monochrome scheme. I put in many hours of hard work to get the look we wanted but it was worth every minute. It was refreshing not to be wholly relying on suppliers and to be able to tweak things as I went. If given the chance to do it all again I wouldn’t change a thing.